This news will have fans jamming to boy band classics all day. Ariana Grande reunited most of *NSYNC at Coachella 2019 during her April 14 performance, in which she headlined night three of the music and arts festival. 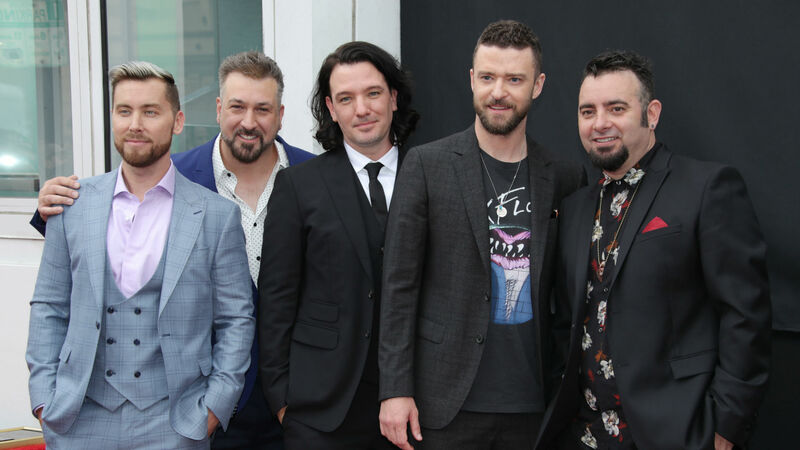 To answer the one question probably swirling through fans’ minds, no, Justin Timberlake wasn’t part of the reunion, which may or may not have something to do with the singer’s busy schedule, including his Man of the Woods tour ending on April 13. That said, JC Chasez, Joey Fatone, Lance Bass and Chris Kirkpatrick were all in attendance. You can check out part of their epic reunion below. Prior to Grande and *NSYNC’s performance, there was speculation that the “thank u, next” artist was going to pull off some type of reunion with the boy band at Coachella. Well now we know they weren’t just teasing fans and that Grande had every intention of reuniting as many *NSYNC members as she could — and we thank her greatly for it. Now excuse us while we go watch their reunion performance on repeat.